One of my travel goals for 2015 was to go to Germany, as it was a country I had never been to before. The city has so much history and is well known for its Christmas markets, so in December of 2015 we booked a long weekend in Berlin. Berlin is such a big city and there is so much to see and do. 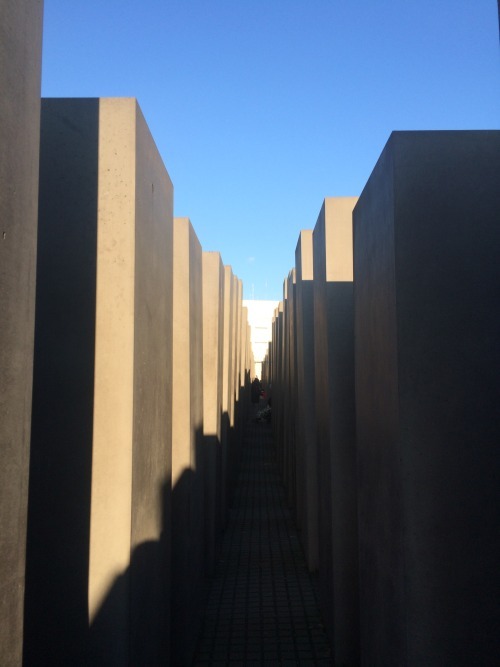 In order to make the most of your time there, I would recommend preparing a list of the things you want to see and do in advance and familiarise yourself with the layout of the city.Here is how we spent a long weekend in Berlin. When we arrived into Berlin Tegal airport we jumped on the local bus (X9 or 109) to the U-Bahn (UB) station which took us into Berlin city centre. The bus and UB ticket cost about €2.50 and only took 20-30 mins. Taxis into the city can be expensive so using public transport is something I would advise, especially if you are travelling on a budget. We stayed in an Airbnb apartment in the area Neukölln, which is just south of the city centre and takes only a few minutes to get out to on the UB. It is an up and coming neighbourhood with plenty of bars and restaurants on offer. It was late enough when we arrived at our Airbnb apartment so we decided to grab some food nearby and wait until the next day to really explore the city. We used the Yelp app and luckily found a place called BBI which was nearby. It was ranked #1 for burgers in Berlin so we had to check it out. They certainly lived up to their reputation as the burgers were awesome. I got the special El Gordonita burger and Siof got a gluten free chicken burger. After stuffing our faces we grabbed some drinks in the local shop and made our way back to the apartment. The next morning we got up early and took the UB to Mitte (City centre). We went for breakfast in a place called Spreegold, which is only a 5 minute walk from Alexander Platz station. It had a great menu with lots of healthy options and was reasonably priced. After breakfast we walked to the Brandenburg Gate in search of the free walking tours, which we had heard about from friends. We luckily arrived just in time for the 11am free walking tour with New Europe- Sandemans. Check out their website for other tour times as they run them several times a day. They leave from the Starbucks beside the Brandenburg Gate and hold red umbrellas so you won’t miss them. The tour lasts approx. 3hrs, is very informative and takes you to all the top tourist spots with great commentary and information throughout. The tours are tip based, so it allows you to pay what you think it is worth. On the tour you visit sites such as, the Brandenburg gate, the Holocaust memorial, Hitler’s bunker, the Berlin Wall, Checkpoint Charlie, Gendarmenmarkt (Christmas market in December) and ends at Humboldt University (where Einstein attended). All in all it was a great way to see and learn more about Berlin and Germany’s history. I would definitely recommend the free walking tours to anyone who is visiting Berlin for the first time or for those who just want to learn more about the history. After the tour we went back to the Gendarmenmarkt Christmas market, ranked one of the top markets in Berlin, to have a look around and to take a break and have some food and a drink. Our rest didn’t last too long as next on the list was the Typography of Terror museum. The museum contains photographs and information about the SS and SA during Hitler’s reign. The images and information on show are very powerful from start to finish. Depending on your reading speed and attention span the museum can take about an hour or more to get through. 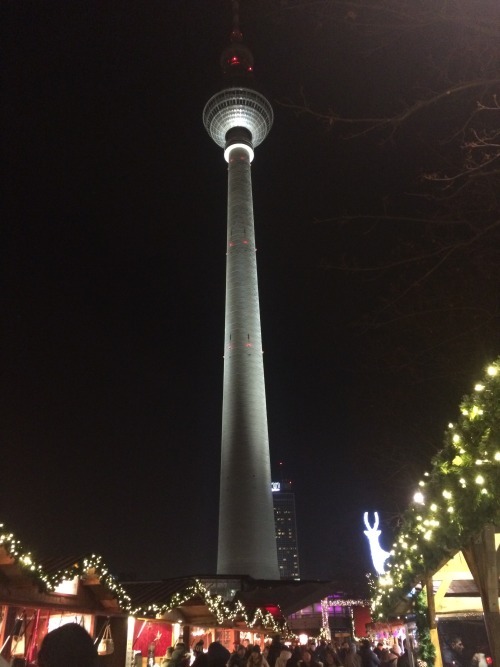 After the museum we wandered up to Postdamer Platz for some food before visiting another Christmas Market at Alexander Platz. After a very long day of walking we decided to get a drink and put the feet up. We read about a breakfast place on Yelp, located halfway between our apartment and Mitte, but when we got there we found out it was closed due to the Christmas holidays. Luckily we found a good spot close by called Schuchmanns. After breakfast we made our way back towards the Brandenburg Gate to see the Reichstag and to take the Alternative Berlin Tour. Although we never actually made it into the Reichstag, due to time constraints and availability, we learned that you should pre-book your entry to the glass dome at the top of the building as it offers great views of Berlin. We opted for the Alternative Berlin walking tour instead. There are a few Alternative Berlin tours that operate in the city, some go from Alexanderplatz and others from the Brandenburg Gate. 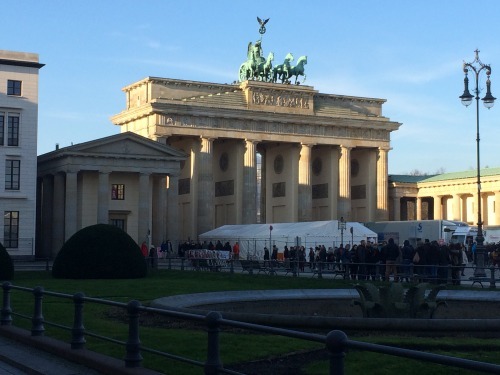 We took the Sandemans one which cost €10 and left from the Brandenburg Gate at approx. 1pm. This tour shows you a glimpse of Berlin the post war and post Berlin Wall days. You get brought to different neighbourhoods where graffiti is the main attraction. It was definitely an interesting tour as it brought you to places you’d never go yourself and gives you a better appreciation for Berlin. 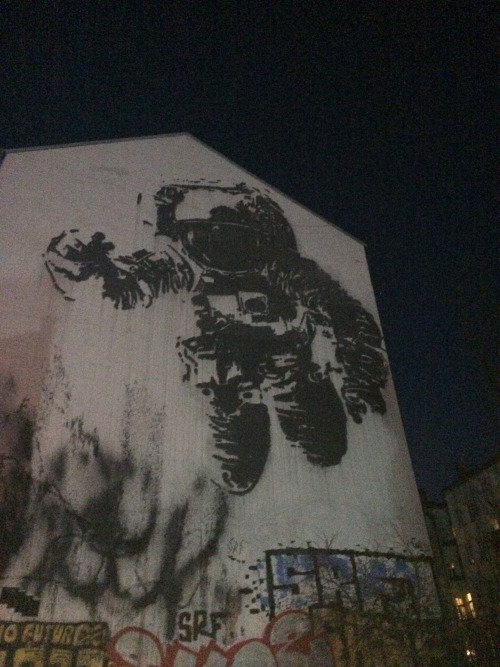 The tour ends in the neighbourhood Friedrichshain which is a top spot for restaurants, bars and clubs. Make sure you check it out. We grabbed some dinner and cheap drinks in Tempo-Box on Simon-Dach-Str. before we made our way back to the Gendarmenmarkt Christmas market for a final browse and a few drinks to end the night. On our last full day we found another nice place for breakfast, not too far from our apartment in Neukölln. It was called Cabslam and has some delicious dishes on offer and well worth trying. This was by far one of the best food places we went to on our trip. After breakfast we made the short walk across Neukölln to rent some bikes. We got them from Rent a Bike 44 and it cost €4 for the day. FYI, the place looks closed from the outside but all you need to do is press the bell on the door and someone will come then. 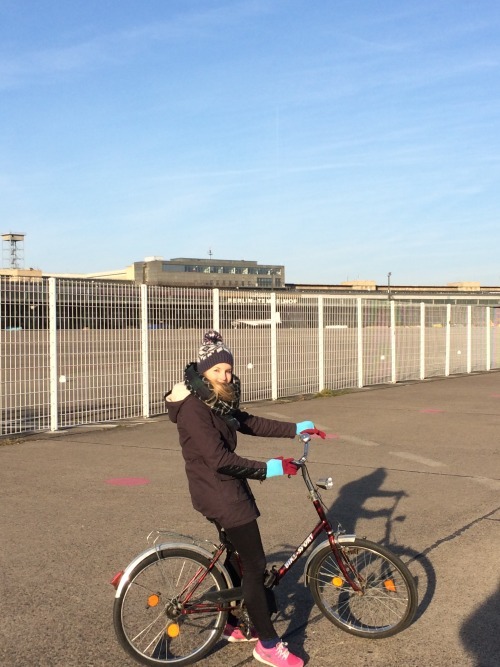 We cycled through Templehof Park which was once an airport during the Cold War and still has two long runways going through them. The park is meant to be a great place to visit during the summer months so if you are visiting then make sure to pack a bag of food and drinks and hang out. 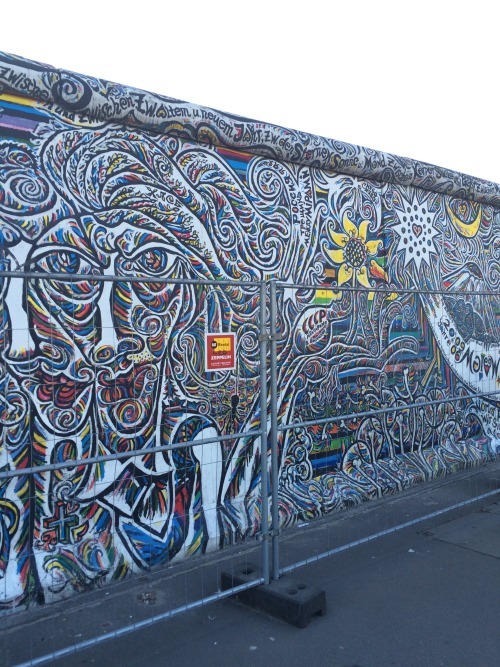 From Templehof Park, we cycled back across the city to the East Side Gallery in Kreuzberg. We wanted to get a better look at the famous graffiti which occupies both sides of the Berlin Wall. This is one of the busiest tourist spots in Berlin so getting a picture perfect shot can be tough. As it was NYE and we were heading to the free NYE event at the Brandenburg gate we made our way back to drop the bikes off and get ready for the evening’s festivities. After a quick turnaround, we jumped on the UB and made our way to Mitte where we got dinner in Beef Bull Club. If the name hasn’t given it away already it’s a steakhouse. It’s a popular restaurant so we were lucky to get a table. If you plan going here you should try book in advance. It’s a little pricey but the food was worth it. At 7pm we walked towards the Brandenburg Gate and entered the NYE event where millions of people from all over the world were attending. Once in we wandered the street exploring all the market stalls, which included all types of food, drink and souvenirs. There was live music and acts performing right up till midnight before the fireworks show started. As the night was coming to an end we made our way back to the apartment and closed out our Berlin trip. It was a great couple of days spent walking, exploring new places and eating and drinking. There is still so much more to see and do in Berlin which means another trip back will be on the cards in the future.